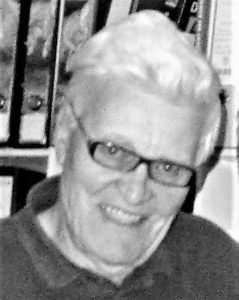 Reinhard passed away peacefully on May 12, 2018 at the age of 83. He was born in Berlin, Germany and was the oldest of three kids. His childhood spanned the war times, of which he always had interesting stories to share; including great relationships and unique business opportunities. Reinhard spent the majority of his career working with Volkswagen in Wolfsburg Germany, which took him to various corners of the globe, and resulting in the move from Germany to Toronto, and finally Kamloops. He was an avid volunteer in the community which he loved so much. Reinhard loved Kamloops and what it had to offer including golf, curling, lawn bowling, fishing, walking trails, the weather, and great people. Reinhard joins his brother, parents and some other good friends on the other side of the rainbow, and will be remembered by his wife, kids, grandkids, sister and extended family, and various friends on this side. Sorry to hear of Reinhard’s passing. We miss him at floor curling and always enjoyed chatting to him as we gave him a ride home. Bill was a fellow volunteer at Sandman Centre a few years ago. Rest well, dear friend. Sincerely, Bill and Mel.